Dr. Scott A. Puckett has been in practice since 2000, and in Wilmington for the past ten years. Compassionate excellence is his professional expectation, for both himself and his staff. He is Clinton County’s board certified oral surgeon. 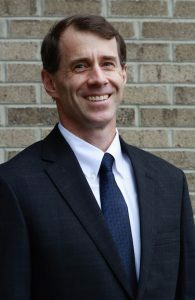 Dr. Puckett is married with three children, and when not in the office, you will probably find him either in the garden or woods, or training for an upcoming triathlon.